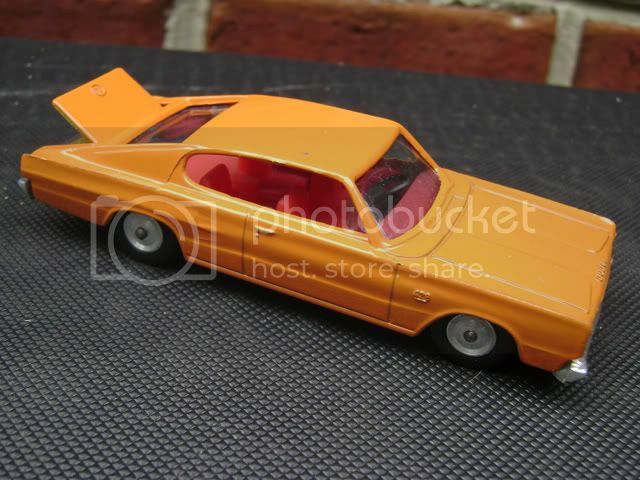 1965-66 Barracuda, Charger, Riviera, etc. - who says these haven't been made? Well, I admit they could be done better now. 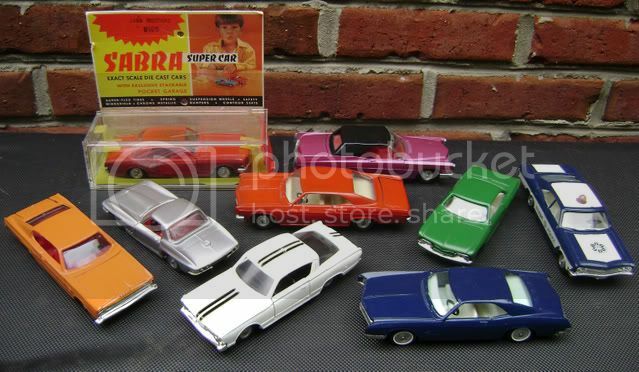 Cragstan marketed the Gamda Koor / Sabra range from Israel in the sixties, all of these are 1965 or 1966 models. 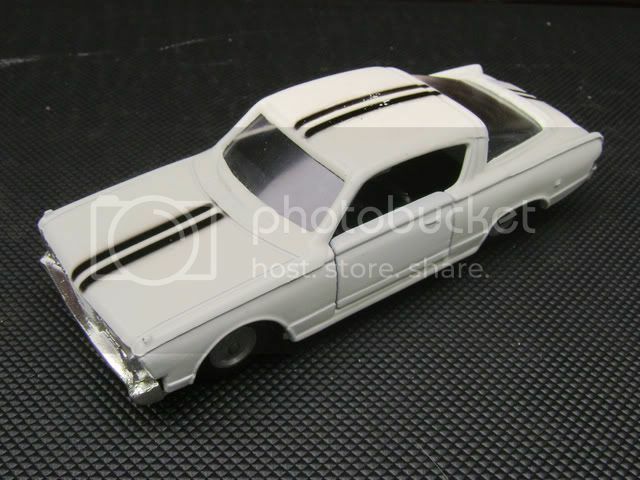 The original packaging is shown with the Mustang hardtop still inside - a clear plastic garage stuck to a card backer (the latter usually missing these days as the glue dries out). 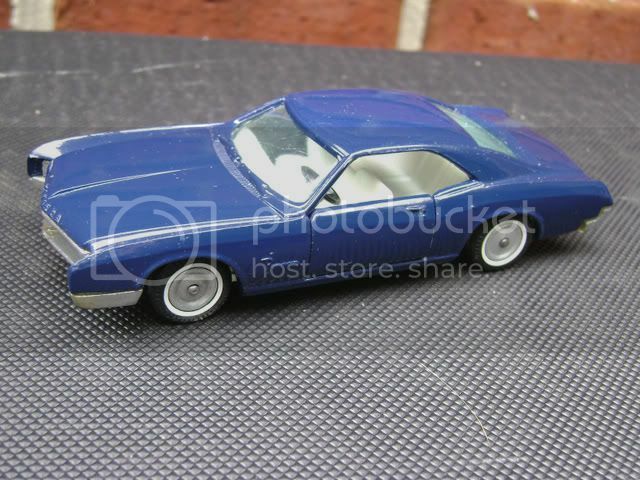 Corvette with hardtop - no other 1:43 of the hardtop exists to my knowledge. 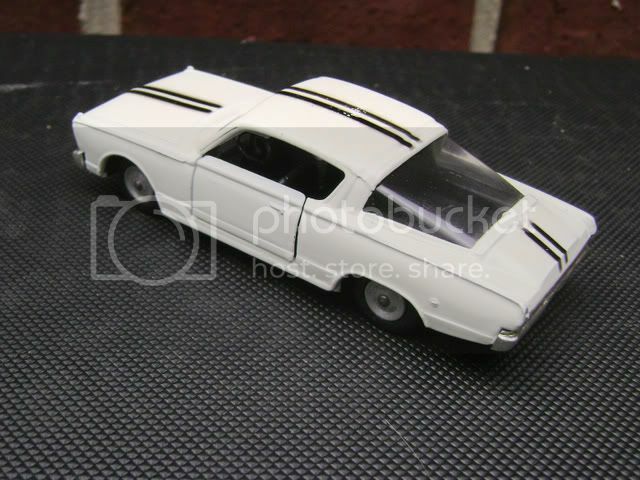 1966 Riviera - no one else made one to my knowledge. 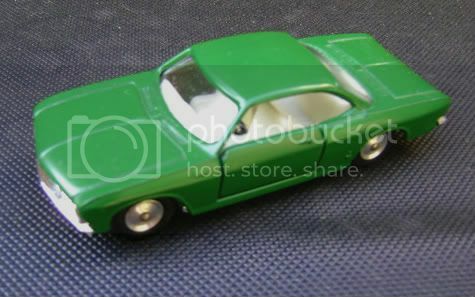 2nd generation Corvair - has recently been bettered by both Yat Ming and Brooklin. 1966 Impalas - on the right is the Israeli police version.